Microsoft will soon bring its Edge browser to Android and iOS smartphones. The software giant has started a beta testing program for Windows Insiders to give Egde mobile a try. 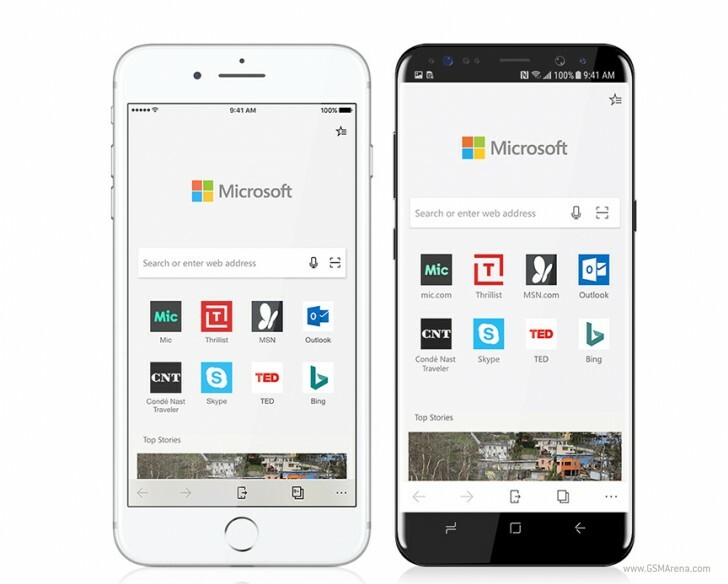 Microsoft Edge on iOS and Android will be able to push pages to and from the PC so you can continue your browsing on multiple devices. Edge will also sync bookmarks, history and reading lists and brings its Reading View to mobile - with it you can eliminate the links, ads and design clutter from an article and focus only on the text. Sadly Microsoft won't allow you to sync tabs (for now at least) like you can with Google Chrome. Microsoft Edge has a few advantages on Windows 10 PCs over Chrome, Firefox and the likes. It's cleaner, it works fast with HTML5 content and it's generally better for your laptop's battery life compared to its peers. It's also catching up in terms of browser plug-ins. Not least of all Edge works best with Windows Precision drivers for your laptop's trackpad bringing the smoothest multitouch zoom and gestures on Windows 10. If you want to test Microsoft Edge on your smartphone all you need to do is join the Windows Insider program for free - source link below. Edge is the worst browser ever, totally unusable!